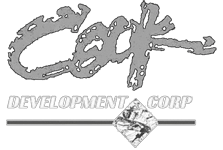 “Cook Development Corporation founder, Terry Cook, has a distinguished history helping clients and communities envisioning the future they want and developing ideas to reach it. The process of leading and building consensus is at its core, a creative one. Using creativity as a bridge to span differences results in unique and workable solutions. Drawing on years of experience applying creativity to problem solving and fueled by a passion for the arts, Cook has leveraged his training in landscape architecture, fine art and real estate development into Cook Development Corporation’s success. THE NEXT GREAT CREATIVE OUTLET: STUDIO P 2717. Click here to learn more.